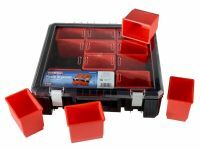 The Faithfull Plastic Organiser features 12 x 85mm deep storage compartments fitted in a sturdy carrying case, with anti-shock corners for added protection. 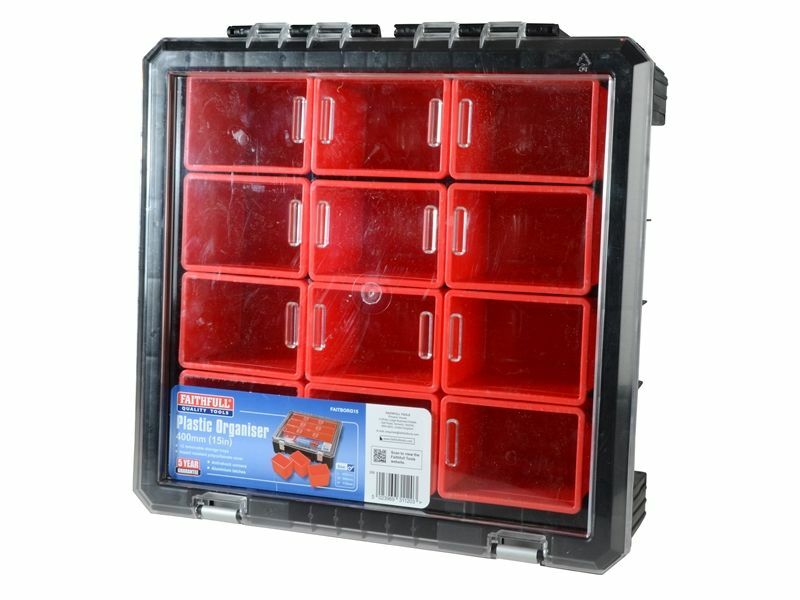 An impact resistant clear polycarbonate lid enables easy identification of the contents without opening the case. 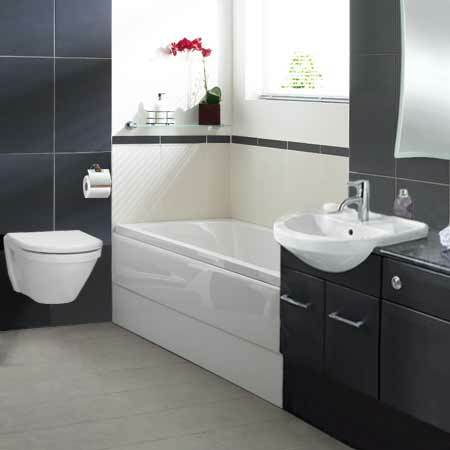 Any individual compartment may be removed to be refilled or taken to the workplace, compartments are securely sealed when the lid is close and locked in place using the aluminium locking clasps. A fold flat carry handle is provided for compact storage. 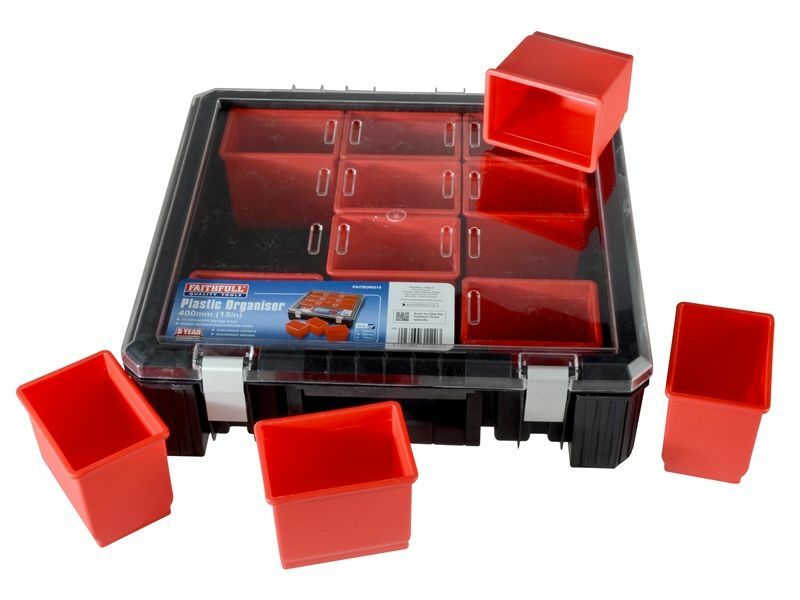 This organiser is perfect for use by both professional workers or for home storage solutions and is ideal for many hobbies by helping you to arrange and store many different components in one place. Compartment Size LxWxH: 97 x 65 x 85mm.